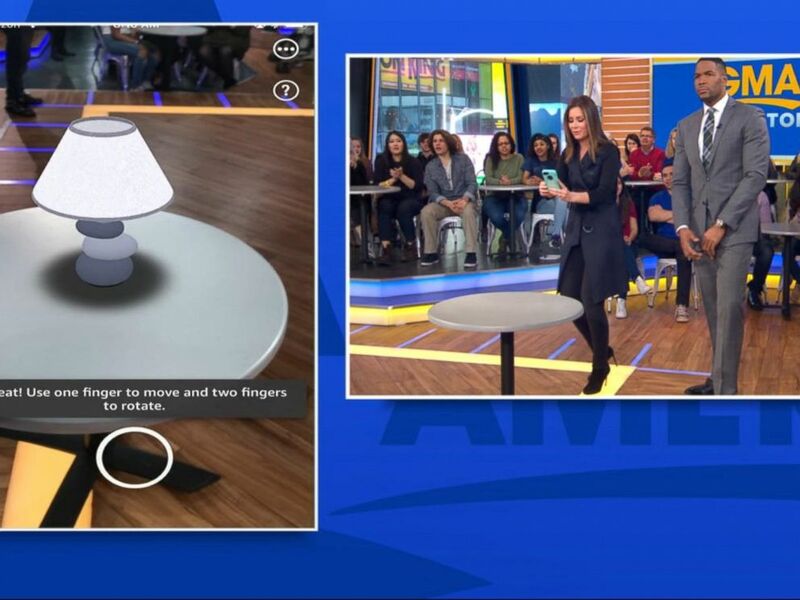 Amazon announced this week that its augmented-reality shopping tool -- which allows users to visualize how an item will look in their home before they purchase it -- is now available on Android devices in addition to Apple devices. "AR view helps customers make better shopping decisions by allowing them to visualize the aesthetic and fit of products in their own living space," Amazon told ABC News in a statement. 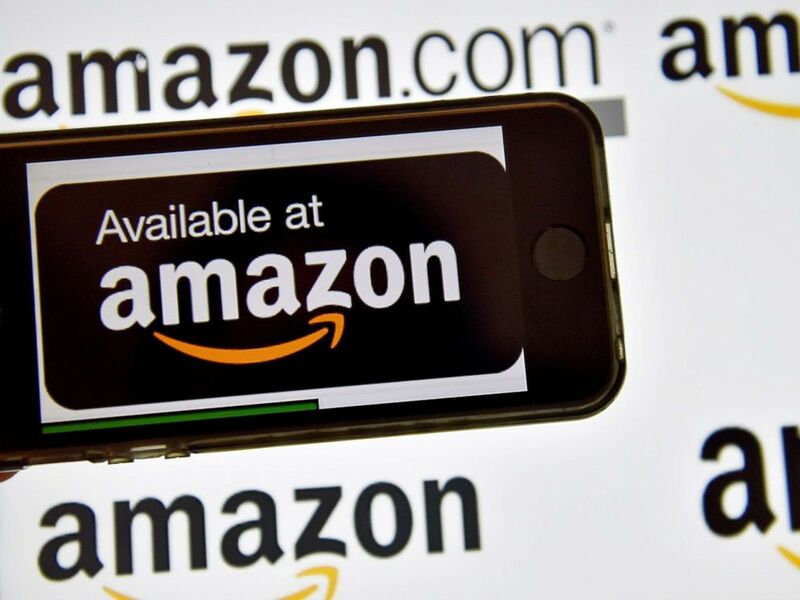 The Amazon logo is pictured in this file photo, Dec. 28, 2016. The retail giant added that users can view "tens of thousands of items -- from living room, bedroom, kitchen and home office products to electronics, toys and games, home décor and more" in their own home using the technology which melds the digital and physical worlds. 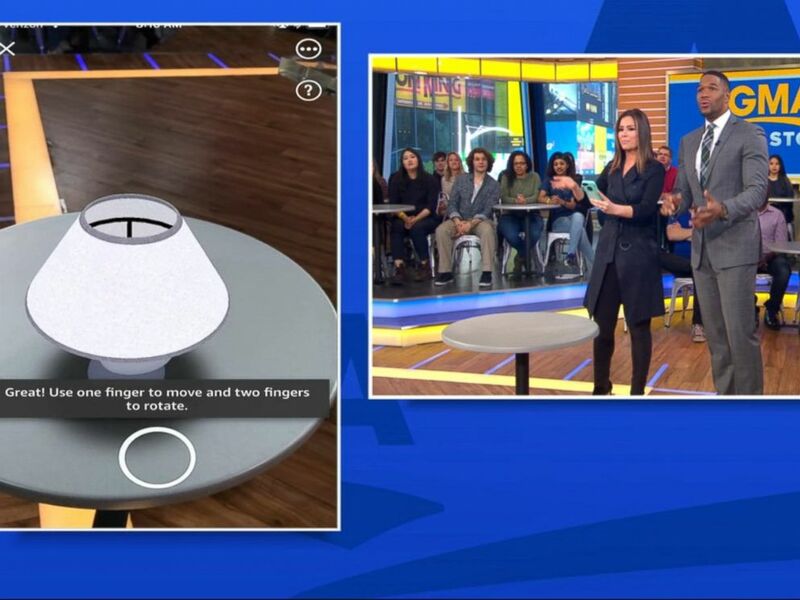 ABC News' Rebecca Jarvis and Michael Strahan demonstrate Amazon's new augmented-reality shopping tool. Amazon, which launched AR view on Apple devices last November, said that they have "found that customers are more likely to purchase a product after they view it with AR view." Mark Ellwood, a journalist and author covering consumer issues, said he thinks AR technology means Amazon customers are "going to spend a whole lot more." "The minute you can try something you are much more likely to buy it," Ellwood added. "This is the ultimate trigger pulling tool. Its one-click ordering, right there in your living room." Amazon is joining a growing list of companies now offering augmented-reality shopping experiences, including Ikea, Target and Sephora. "I suspect Amazon will move AR into other areas of their retails," Ellwood said. "Just imagine seeing a sweater that you really like and being able to map it onto your own body and thinking, 'Wow, yeah, it does suit me.'"